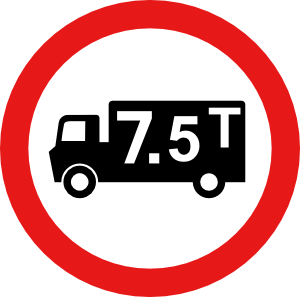 THE battle to ban HGVs from tiny lanes in Freshford is paying off at last. Ashes Lane and even steeper Rosemary Lane have been almost free of lorries since new Euro-signs went up in April and Navteq deleted the roads as satnav "routes of choice" through the village. The return to peace was welcomed by Alan Cunningham, of Ashes Lane, who had campaigned for years against the HGVs. Why does NAVTEQ a multibillion dollar company want to direct traffic through Freshford to Bath via two roads, actually lanes (ie for illiterate lorry drivers (truckers, I don't mean that truckers are the illiterate subset of the group "lorry drivers" only that "truckers" and "lorry drivers" or for that matter HGV drivers (some) dont seem to realise that "lane" means - read on)) "lane" means a "narrow country lane".